As Japanese students and peace activists point to the horrors of war to mark the 72nd anniversary of the Hiroshima atomic bomb, the country is jittery because of North Korean missile tests that have landed within 200 kilometres of the Japanese coast. 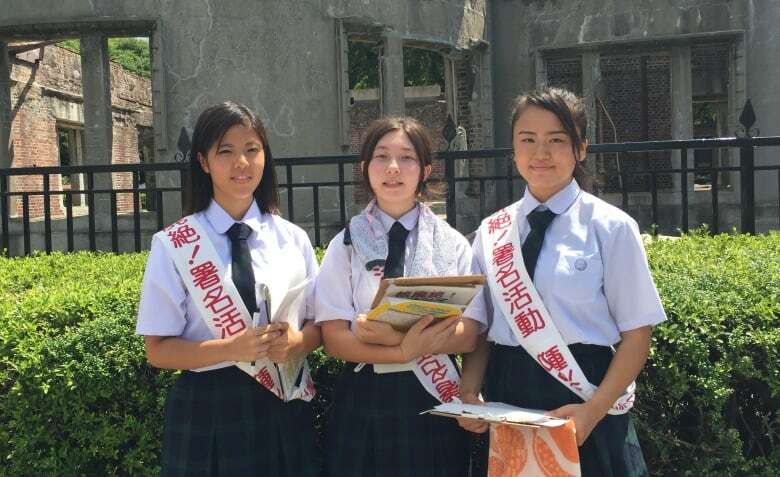 Around Hiroshima's Peace Memorial Park on Sunday, there were throngs of students in their school uniforms walking up to tourist after tourist in the oppressive August heat. They're more than greeters, they have a mission. Using their well-rehearsed English, they ask people to sign petitions calling for the abolishment of nuclear weapons and for world peace. This is a week for Japanese to reflect on the horrors of 72 years ago, when Hiroshima and then Nagasaki were levelled by atomic bombs. But there's a shadow over this year's memorial services. The neighbour across the Sea of Japan keeps lobbing missiles this way — including two recent intercontinental ballistic missile tests. What's more, on top of his usual sabre-rattling, North Korean Leader Kim Jong-un has threatened nuclear attacks on American bases in Japan. Given what's been happening, the mood at the annual roundtable on disarmament, hosted by the governor of Hiroshima Prefecture, wasn't exactly optimistic. "You know this is a depressing year," said Middlebury Institute nuclear policy expert Jeffrey Lewis, a regular at the discussions. "This is a year where we spend a lot of time talking about, how instead of proposing things to make the world a little bit better, we would propose things to stop the world from getting worse." While Japanese Prime Minister Shinzo Abe made no reference to North Korea at Sunday's memorial ceremony, he did talk about it in the media conference that followed. He said he has no plans to give his forces the ability to hit targets in North Korea. The statement followed his new defence minister mentioning the idea last week. He also said Japan relies on the strike ability of the United States. Japan is protected under the so-called U.S. "nuclear umbrella." If a country were to attack it with a nuclear weapon, the U.S. has pledged to reciprocate. There have been a dozen or so North Korean missile tests this year alone and some of the missiles have landed within 200 kilometres of the Japanese coast. What Abe has done in response to Pyongyang's missile and nuclear buildup has been to call for the regime there to adhere to UN Security Council resolutions to halt development of a nuclear weapon and stop the missile tests, while also calling on the international community to put more pressure on the North. Japan has a pacifist constitution that renounces war. Its military is for self-defence purposes only. Given its limited military posturing ability, Japan has done as much as it can. It participated in naval drills with U.S. aircraft carriers in the Sea of Japan and in joint missile defence tests. Abe has also ordered communities to hold evacuation drills that simulate a North Korean attack. Lewis thinks the Japanese government's efforts are a show for the home audience. "I think it's mostly symbolic actions to reassure the Japanese public. I don't think it matters to the North Koreans," he said. As for the Japanese public, when you talk to people in Hiroshima, a city that unfortunately knows all too well what nuclear weapons can do, they will tell you of course they think about what may happen. The Hiroshima blast is estimated to have killed 140,000 by the end of 1945. Many of those who survived battled radiation-related illnesses and also social stigma because of their exposure to radiation. "We are pretty worried about North Korea… they're unpredictable," said Anglican priest Andrew Nakamura. An elderly passerby who goes by the name of Shin said he's worried too. "So I want to stop it by exchanging dialogue between the leader of Japan and North Korea." Lewis says Hiroshima is a city able to give a lesson to policy makers. "You really come face to face with the horror of the things," he said. "You contemplate that it's still a live possibility that a nuclear weapon could still be used against this place. It's a pretty powerful incentive to push to get our political leaders to do something different." Nagasaki, the only other city on Earth capable of teaching that lesson, will hold its Peace Memorial Ceremony on Aug. 9. 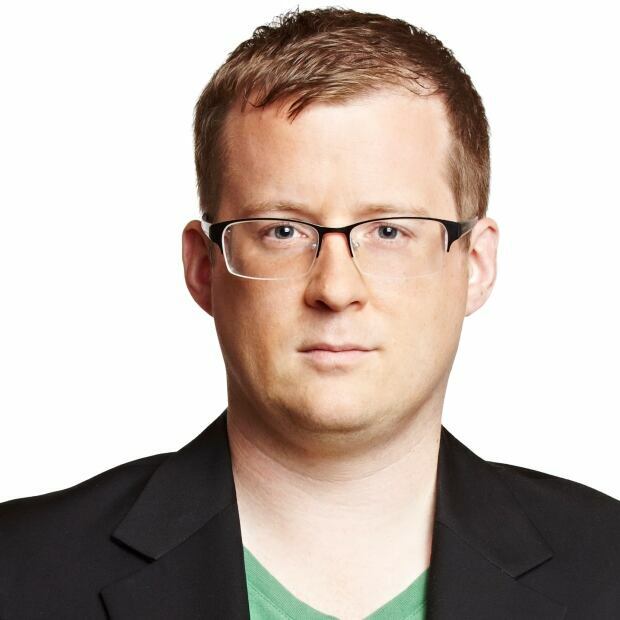 Adam Walsh is a CBC journalist, currently based in Japan as part of a partnership with a Japanese broadcaster.